Please click on the link and not on my name I don’t understand it goes to the suject of Moon!!!! Love Fall/Autumn – it is my favourite season so loved this challenge, thank you. Trying the link again:Fall Apples. This challenge is wonderful – so much richness of colour and subjects to choose from. 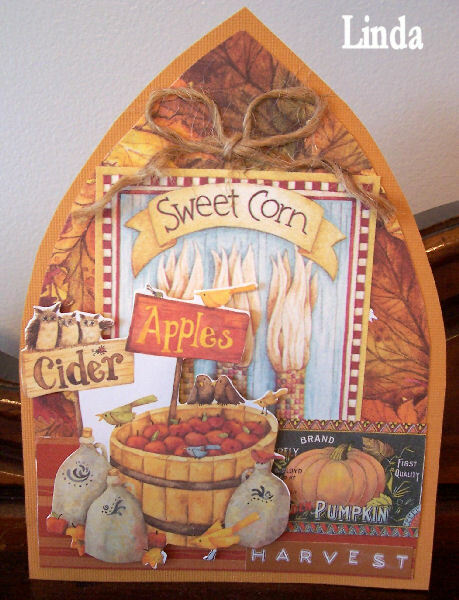 Love the example card; harvest is such a joyful time. Love the fall theme. Look forward to this challenge every week. Yeessss !!! Very great theme, I love fall !! Thanks for this new challenge !! I’m having trouble getting this post to stick! Here is my fall/autumn arch. wow your all so fast! here is my arch ! Here is my entry for this weeks theme! My first time making a Gothic Arch. You can see my arch on my blog! heres my arch! thanks for looking! Here’s my arch for this week. Thanks for looking!! love this challenge it’s a real drug for me! I have missed two week but intend to catch up ! Here’s mine! It will be going out to Ethel for a swap this week!